Kelli I hate to tell you but all of those leos are obsolete. Orange is not the “hip” thing anymore so send em’ my way. LOL. SEND THEM TO ME!!!!! They're GORGEOUS!!!!! "Let me know when you are done acting retarded"
Cool!! 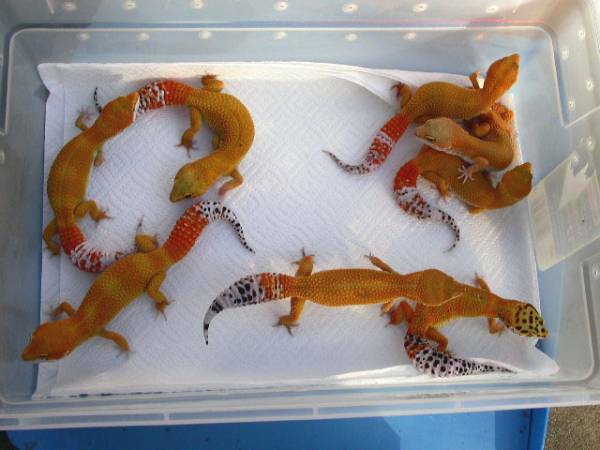 How did it for leopard geckoes produce very orange genes? Those r beauties!